Whether it’s a hotel/motel or RV Park customers expect small business owners to have WiFi available. 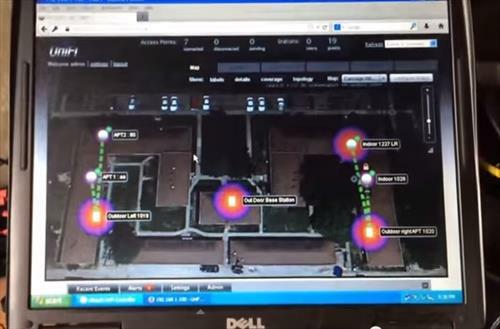 Setting a plan for WiFi to cover large areas takes research and technical ability. In the past it was difficult and expensive to cover a large area such as five-acre RV Park or similar. Ubiquiti Networks UniFi AP Enterprise WiFi System sets out to make setting up WiFi for small business owners easy. They do this by using small saucer or square shaped WiFi nodes that can be placed throughout an area that simply keeps expanding the WiFi distance when more are added. Each node has easy WiFi hand-off so there is never any loss of a connection when moving. Each node operates on its own and can be set up to work the entire area with the same SSID or on its own with a different SSID. In the past I’ve used SonicWall Sonicpoints for setting up WiFi for small businesses. But switched to Ubiquiti Networks after setting up a motel with WiFi with 8 Ubiquiti nodes. Not only was it cheaper but easier to set up. DD-WRT is also used a lot to set up small business Wi-Fi but it adds a layer complexity that is not for everybody. I have used DD-WRT a few times and it is difficult to explain to a business owner or the staff how the system works. This is much less of a problem with Ubiquiti networks. If you are business owner who is comfortable the technicalities involved in running a Wi-Fi system than DDR-WRT is a good option. But if you are looking for an easy system setup with technical support and possibly the cheapest business WiFi system on the market than definitely check out Ubiquiti Networks UniFi AP Enterprise WiFi System. Another upside to a Ubiquiti Networks system is that the new nodes implement the new 802.11ac that transfers data up to 750 Mbps compared to wireless 802.11n which transfers at a maximum 300 Mbps. The setup interface gives many options from a guest Wifi account to banning a Mac address. It also show the nodes on a Google map that shows its range and who is connected. Here is a video setting one up at a apartment complex.